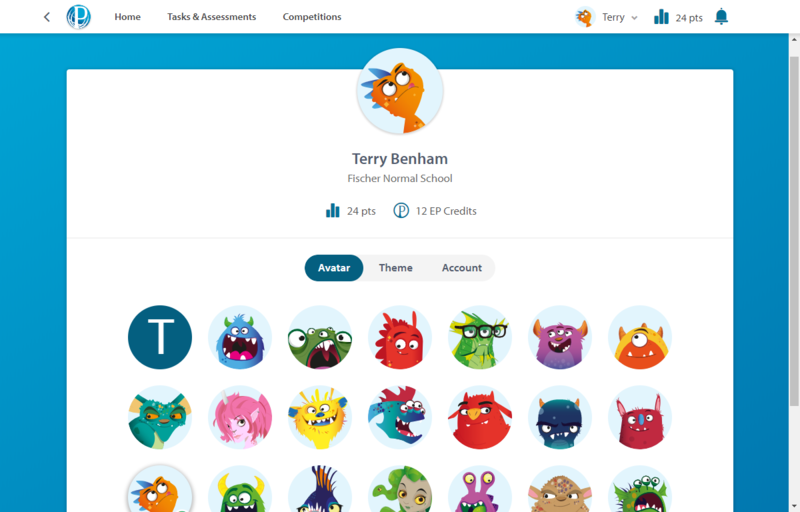 You can personalise your account by adding an avatar. To change your avatar, click your name in the top right-hand corner of the screen and then select Avatar. From here, select the desired avatar. When you return to your Home screen, your selected avatar will now appear next to your name in the navigation bar, as well as in the scoreboard.